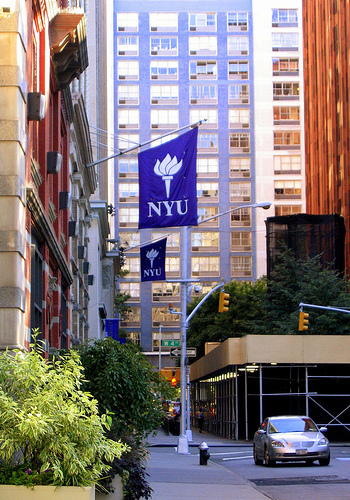 New York magazine covers NYU in their Real Estate section this week with a piece entitled “NYU’s Olive Branch.” Subtitled: “The school wants to expand – and says it’ll be a better neighbor. Good luck, guys.” With no mention of the pending destruction of the Provincetown Playhouse or any outline of NYU’s history of disregard for its West and East Village neighbors as it plants its flags seemingly everywhere, the article feels incomplete. In February, NYU “unveiled its plan for 6 million square feet of new space, half of it housing” for their 23 year plan, Plan 2031.